SUN AND SOUND PACKAGE includes (CF5) power sunroof and (UQA) Bose premium speaker system. Audio system, AM/FM stereo with CD player seek-and-scan, digital clock, auto-tone control, Radio Data System (RDS), speed-compensated volume, TheftLock and 6 speakers May be substituted with (UC6) AM/FM stereo with 6-disc in-dash CD changer. OnStar, 1-year of Safe and Sound plan. Includes Automatic Notification of Air Bag Deployment, Stolen Vehicle Location Assistance, Emergency Services, Roadside Assistance, Remote Door Unlock, OnStar Vehicle Diagnostics, Hands- Free Calling, AccidentAssist, and Remote Horn & Lights (OnStar services require vehicle electrical system (including battery), wireless service and GPS satellite signals to be available and operating for features to function properly. OnStar acts as a link to existing emergency service providers. Stolen Vehicle Location Assistance and Remote Door Unlock success varies with conditions. OnStar Vehicle Diagnostics available on most 2004 MY and newer GM vehicles. Diagnostic capability varies by model. Visit onstar.com for system limitations and details. Not available with certain FDR order types. Not available with a ship-to of Puerto Rico or the Virgin Islands. Find a great sale price on this 2008 GMC Envoy 4WD 4dr SLE2 at Power Honda in Albany Oregon. 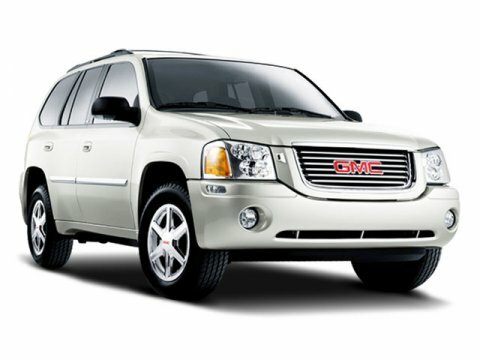 This 2008 GMC Envoy is located at our Honda dealership in Albany. We also serve the cities of Salem, corvallis, and Lebanon. So if you're looking for a great price on this 2008 GMC Envoy 4WD 4dr SLE2 or just looking to get an auto loan for the vehicle you want... you've come to the right place! Power Honda.